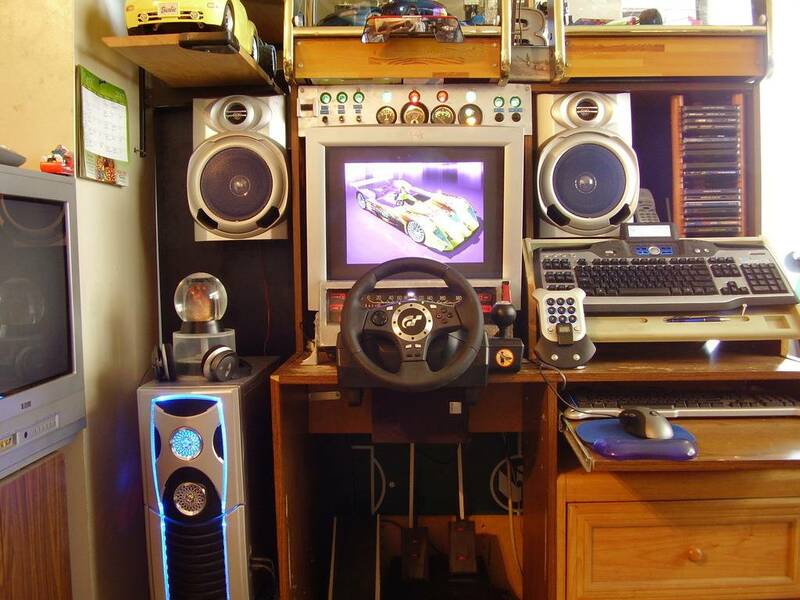 Just wondering what some of you use as a desk for simming, wheel mounting, etc. Been looking around here for weeks to replace the "desk" I had been using for simming. It was so old that it would not survive the trip up here. Haven't had anything since I moved, and haven't been simming for about 6 months, NOT GOOD!!!!! The move in, property work is just about done and have about 16-20gb of backlogged downloads to start checking out, it's about time!!! great to hear you're almost settled in and coming back shortly! Thanks for the tip hmmguy, that might be the way to go. That way, I can still do some simmin', while taking the time to buy a "nice" desk. This will probably be the last move, so I'd like keep from getting "particle board", Office Despot type desks. I have one of those wheel stands to and it's easy folded away when not in use. It's a very sturdy construction. Nowhere to mount anything else other than the wheel, Stick Shift and pedals though. Great ! This is what i need.... Thanks for the tip Joe. ...and would use string and gatehooks to fasten my chair to it. I have one of those high back office chairs on casters that wanders if you don't tether the little so n so down with luggage straps.